The New Orleans Saints enter Sundays game against the Tampa Bay Buccaneers not knowing if their defense has improved from their dismal performance in 2007, but it will take only 60 minutes to tell Coach Payton, the NFL, and Saints Fans every were the answer. On paper the Saints have improved in every area but one, the secondary. No one has stepped up and taken CB2 starting position. Mike McKenzie returning from a season ending knee injury in 2007, quietly showed he is ready this preseason, and let every defensive coordinator know not to throw his way! The other corner back job is still up for grabs, and a regular season audition will continue to take place. Randall Gay, the Saints free agent pick up from the Patriots this off season looks to have the first audition on Sunday. He has shown the same flaws that Jason David has by allowing long completions in all of his preseason appearances, but has the most experience with talent at this point. Rookie Tracy Porter has been good, but still has a lot of learning to do. So until the Saints defense proves it can stop teams from scoring at will, the Saints Offense has issued a challenge to every team it will face in 2008 – Catch me if you can? Coach Payton and company has to feel confident that his offense with playmakers such as Drew Brees, Marques Colston, Jeremy Shockey, and the “Four Horseman” – Deuce, Bush, Stecker, and Thomas will score each time they touch the ball. In fact, they will have to. Unless the defense shows they are new and improved, the offense will have to win games, by way of clock management and scoring every time they have the ball. The one weakness the Saints offense have is the run blocking of the offensive line, those big guys are going to have to get better at opening holes, not just protecting Drew Brees. I have stated before how I feel the addition of Shockey will benefit both Marques Colston, and Reggie Bush. Shockey will take away the double teams Colston has been burdened with the last two years, and Shockeys’ run blocking will allow Bush to get to the open field on the outside were he is best at. 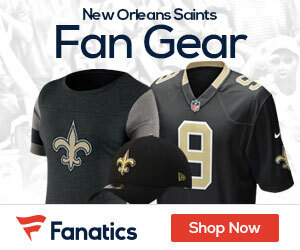 The regular season is upon us, and Saints fans everywere will be watching and waiting for the – New Orleans Saints To Come Marching In – this Sunday at the Super Dome. YEAH baby! Thank you Coach Payton. We Love you and be the brillant play caller you are. Geaux Saints.